"Another yummy way to eat oatmeal. The house smells wonderful while this is cooking." Lightly spray a 5-quart or larger slow cooker crock with cooking spray. 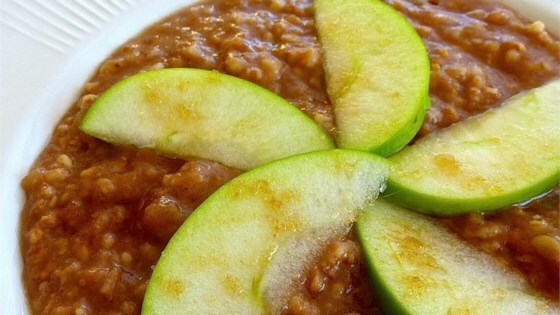 Combine water, applesauce, oats, diced apple, cinnamon, and sweetener in prepared slow cooker.